In fact, they �re so reliable that OKI backs them with a 2-Year Advanced Overnight Exchange warranty. Superior performance and affordable price �€"With a resolution of up to 300 dpi and print speeds of up to 6.5 ips, these printers are among the best in their class, with a space-saving footprint and drop-in media handling. They're the flexible, high-productivity printing solutions you want for barcode labels and tags. Versatile, low-cost solutions �€" LD630/LD640 Series printers are perfect for applications such as manufacturing, retail, healthcare facilities, distribution centers and receiving departments�€"wherever tracking, accuracy, compliance and performance are most important. And these printers are ready out of the box, with Microsoft�® Windows�® compatibility, built-in Multiple Interface capability, and automatic recognition of supported emulations. They'll integrate easily into your environment, requiring little or no training for your staff. 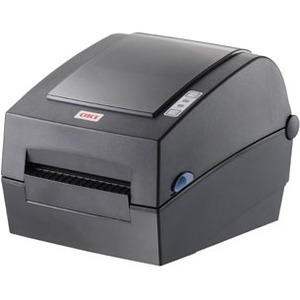 The LD630/LD640 Series Thermal Label printers from OKI: rugged and reliable printers that combine performance, versatility, convenience and cost effectiveness.